Common forms and documents for Florida Assisted Living Facilities are available here. Select the forms you wish to review. All forms require Adobe Acrobat Reader®. 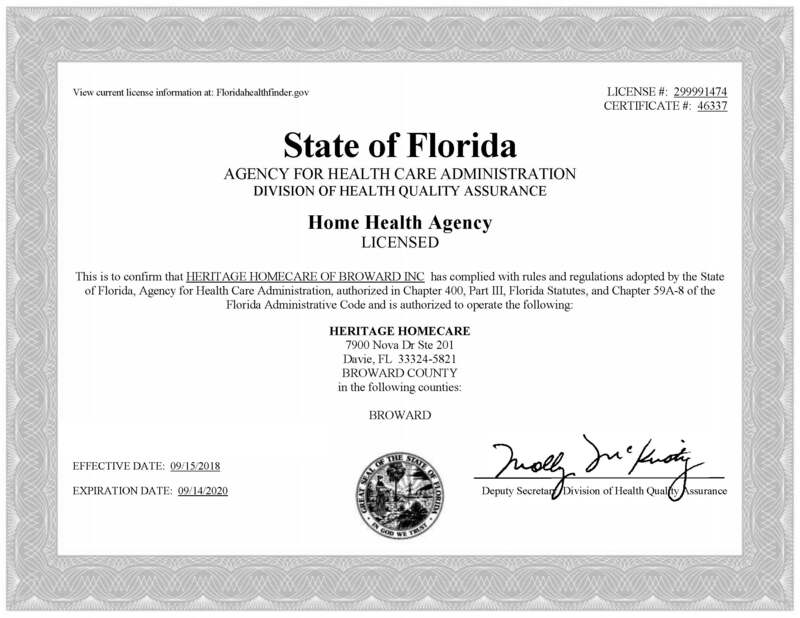 Click here for the Heritage Homecare License and Credential Pack.